Alec was yelling at me because I was trying to take photos of my pancakes instead of eat them, while he stared hungrily at the ones on his plate. Luckily, I snapped the photos and we got to eat all of these lovely pancakes. Something about making food from scratch makes it so much more enjoyable to eat. Here is how to impress your breakfast guests (or just your family) with homemade pancakes! They'll be impressed when you tell them that you don't even own box mix. You can make these all with ingredients already in your kitchen, I promise! Then, cook them. I won't give you a lecture on how to talk to the pancakes and know when they are ready to be turned over. Just look for the bubbles and the edges firming up, check on the bottom 'till it looks just right then flip. Stack 'em up and admire you work. This is the point where you tell your man to set the table and guard the bacon from his hungry hands. They smell great, so he'll be poking around the kitchen anyway. Top with fresh fruit and a dusting of confectioner's sugar. Enjoy with bacon and scrambled eggs. 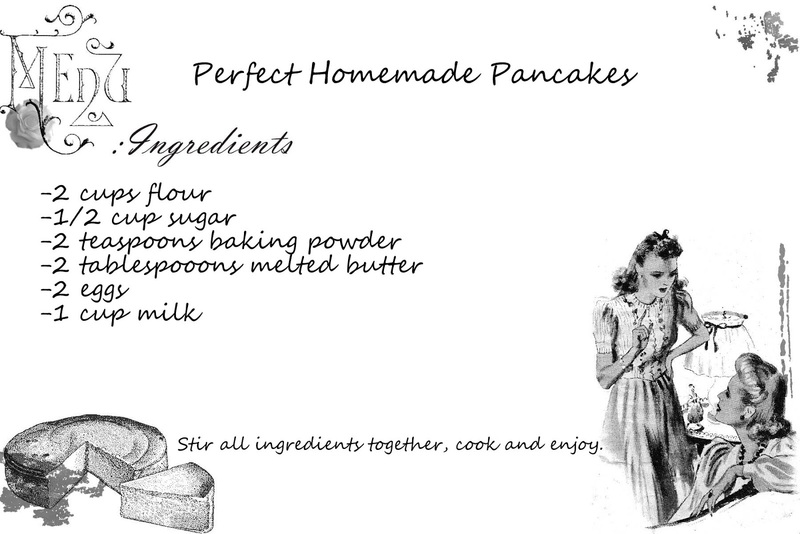 Don't forget to print the recipe card at the top of the page and add it to your recipe collection! 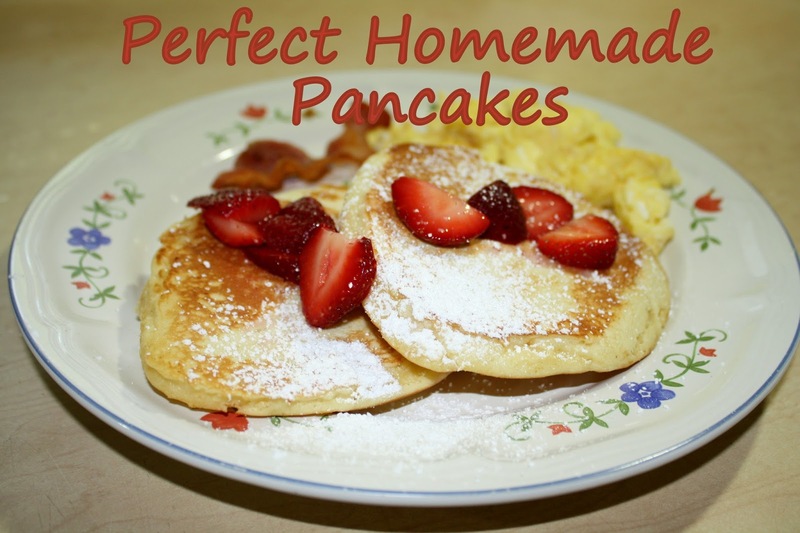 Do you make homemade pancakes or use box mix? Yum, these look tasty. I never liked the box mix much, from scratch is always better! Yum! Can you come and make those for us for breakfast? These look delicious! I'm a real sucker for a good pancake! New follower from Monday Mingling! Can't wait to see more posts! Ha, my husband has gotten so much better about letting me taking food photos. He has grown to understand. They do look amazing! And I agree, something about homemade from scratch makes it so much better.